Blockchain pioneer Tratok Ltd announces their first airdrop of tokens, with free participation. DUBAI, United Arab Emirates, September 25, 2018	(Newswire.com) - Blockchain pioneer Tratok predicts the days of OTAs are numbered thanks to a revolution in the travel and tourism industry. Ask most hotel owners and they would say that Online Travel Platforms, better known as OTAs, have been holding them for ransom because of an unfair business model that basically ties their hands. How is this a problem for the industry? Excessive commission on each transaction, unjustified joining and marketing fees, rate parity, control over inventory and zero ownership of customer data. These are only a few of the demands a hotel owner faces when dealing with an OTA. Equally important is the withholding of payments for several months, which can be detrimental for the smaller establishments. A litany of injustices exists and yet, the entire industry is controlled by only a few players, ruling out a free and competitive marketplace where participants can compete on price, quality and service instead of being restricted by harsh contracts, ultimately losing control over their business. Unfortunately, the truth is that many hotel owners and operators are forced to rely on such a platform as their individual marketing budgets are unable to guarantee the same level of exposure. But at what cost? Can an up to 30 percent commission rate be justified? In addition to these extortionate fees, getting prime exposure on these sites is not determined by customer behaviour but, again, by more fees and costs. This leaves one to wonder how much profit an independent establishment is left to operate with when 70 percent of their bookings are from an online source and the remaining 30 percent is controlled by the price the OTA sets. As a result, the small business owners hands are tied and they have no choice but to submit to the strong-arm tactics of the OTAs. It is not just the service providers that are suffering. At the end of the day, all these extortionate costs are also being absorbed by the consumer, the travellers who are duped into believing that they are getting the best deal online. In actual fact, there is very little transparency in regards to cost, hidden fees by way of taxes, merchant fees, currency exposure, false discounts, delays in refunds and limited direct contact with the establishment. For example, what the traveller thought was a $200 room a night is not the reality and the final price can be significantly higher. This begs the question, when and how will this change? Tratok has vowed to address and rectify these issues by offering a revolutionary, global booking platform based around a single purpose-built currency which is catered to the travel industry. This disruptive solution will revolutionise the industry for the benefit of the key stakeholders. By addressing long overdue and unsolved problems and offering working solutions, Tratok is here to turn the tables and return control back to the principal stakeholders. Best of all, Tratok does not dictate to service providers how they should run their businesses or what rate to charge. Thus, a better rate can be offered to the consumer which still enables the provider to increase their margins by up to 30 percent. Tratok was created with a single objective: making travel and tourism more cost-effective, transparent, free of fraud and fairer to all relevant stakeholders. This objective remains at the heart of the project and continues to guide every step of development. 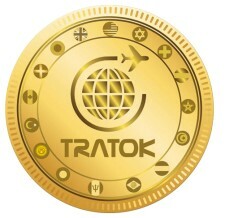 Empowering the primary stakeholders is the primary goal of this project and it is with this in mind and in order to guarantee a widespread adoption of a token whose reason for creation is to be a widely used and adopted unique travel currency, Tratok has announced its first airdrop of 400 million Tratok usage tokens across wallets who sign up for the airdrop on 1 October 2018. 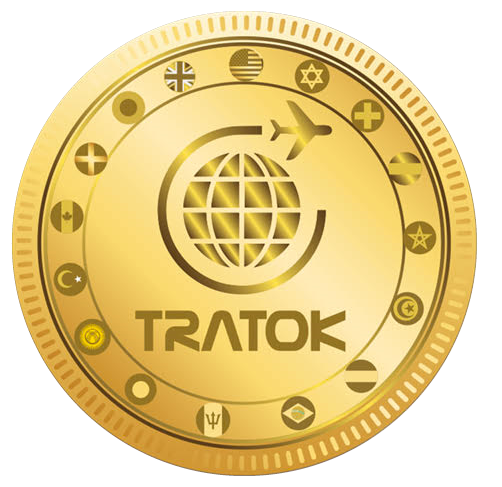 Far from the consideration of the Initial Coin Offerings engineered to enrich the owner of the cryptocurrency, the team behind Tratok wants to see their vision become a reality and make travel more accessible and fair for all. The public can sign up to this airdrop by visiting Tratok.com and filling out the relevant form.